Syenap | So, How Great is Syenap Actually? 20 Jun So, How Great is Syenap Actually? One of the most unfortunate facts of bricks and mortar retail is how few people actually understand their customer behaviour. And trust us, the number of people who don’t know what’s going on in their own store is scary high. What’s even more unfortunate is that some people aren’t even aware that analytics software like Syenap exists. So, they rely on gut feelings instead of cold, hard facts, and then wonder why the supposed “Retail Apocalypse” is making headlines. Obviously this needs to change, fast. If it doesn’t, the naysayers will be proven right. Sure, you could hire someone to sit and monitor your CCTV camera footage all day, but why waste the resources when you can automate the process with software? The number of people visiting a store on a daily basis can be vast, and these numbers would produce a ton of data that no mere human could process. However, our software does it effortlessly and provides you with insights into how you can improve your bottom line. Because your bottom line is pretty damn important, right? But what spaces can benefit from the power of our analytics software? Our software identifies the areas in your space that customers prefer. In doing this, it also pinpoints the spaces that are under-utilised (or not used at all). This allows you to intervene and increase square meter value by placing more stores that people want to visit in these areas. By gaining insights into your customer’s demographics, spending habits, and shopping trends, you can tailor your marketing campaigns specifically to your clientele. Not only does this increase your awareness of your customers, but it increases your revenue too, because your marketing campaigns will be more successful. 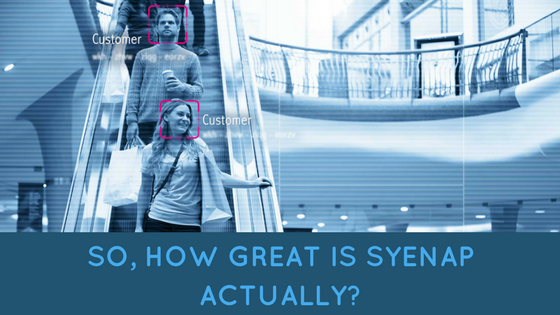 Syenap sends you alerts when your business is going to see a surge of foot traffic. So you can use it to tell you when to deploy more staff and manage customer expectations effectively. Not only will your customers be attended to quicker and more efficiently, but their experience is sure to improve, increasing the likelihood of them returning to your business. In tracking customer activity in certain locations, Syenap can assist you in placing adverts for high-demand products in areas with higher footfall. But it also tracks customer arrival times and counts, and evaluates average visit times on given days. This will let you staff accordingly, and will also give you insight into when you should be ordering stock and how much you should be ordering. And, to top it all off, you can rely on us to provide you with insights and data that aren’t pulled from a hat. We don’t rely on our gut, we trust the numbers, and we don’t listen to naysayers. Sound like good enough reasons to get in touch with us? We sure think so! Give us a call and put our solution to the test.